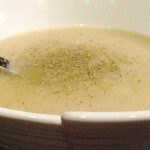 First time making potato-leek soup and while there have been plenty of recipes out there requiring plentiful amounts of butter and heavy cream, this vegan-friendly recipe yields just as creamy (and flavorful) results. It’s extremely nourishing too, leeks happen to be full of iron while garlic/onions include their own immune-boosting properties. Heat a 4-quart soup pot over medium heat and add the oil. 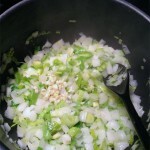 Add leeks, onion, sea salt and saute for about 5 minutes, stirring often, until the onion begins to turn translucent. Add the garlic and stir well. Cook for 1 minute more. 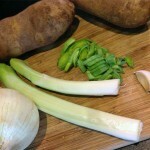 Add the potatoes and vegetable stock, cover, and bring to a boil. Reduce heat to simmer. Cook 20 minutes. Remove the soup from the heat and use an immersion/stick blender to blend the soup in the pot or ladle the soup into a blender, 1 cup at a time. 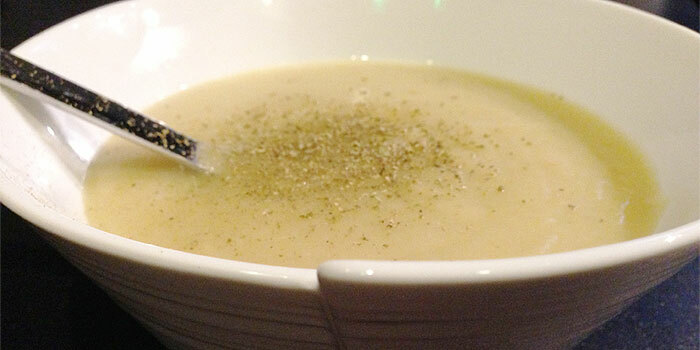 Blend the soup with the fresh rosemary leaves until smooth and free of chunks. 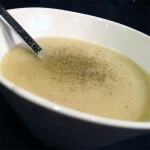 Pour smooth soup into a heat-proof bowl and continue until all of the soup has been blended. 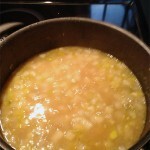 Transfer the blended soup back to the original soup pot and warm over low heat until heated through. Serve hot.